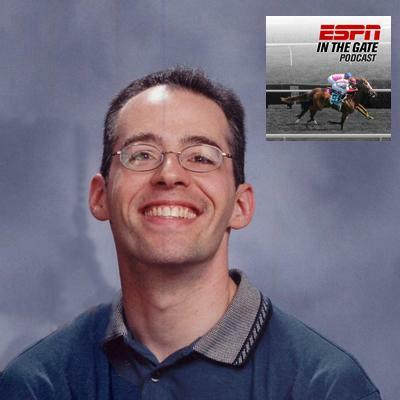 Barry Abrams hosts IN THE GATE, a horse racing podcast on ESPN. 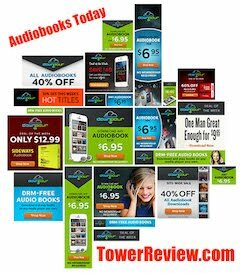 He’s also a features producer there, a professional voiceover talent, and audiobook narrator. Since he’s narrated for me too, I figured I should interview him about what else he’s up to. Turns out, a lot…and a few surprises, too. Jonathan Lowe) There is a Barry Abrams horse trainer from Belarus who retired with throat cancer, and an article I saw said, "he was barely audible." Like Audible. How did you start as a Voice actor? Was it a transition from horse race announcing? Which came first---the voiceover egg or the jockey? Barry Abrams) I started doing the horse racing podcast, “In The Gate” for 2 reasons. First, as a marketing tool. In researching the voice-over industry, I found that several name voice artists did podcasts of some kind. It didn’t necessarily matter what the topic was, as long as it was sustainable and presented reasonably intelligently. I settled on thoroughbred racing since I know a lot about it, and I am fortunate that my day job employer allows me to post the shows on their world-renowned website. The second reason I started the show was to get built-in mic time each week... practice. I also learned better ways to edit my own stuff, since that is now part and parcel of the job. I actually had the trainer, Barry Abrams, on the podcast, but he really didn’t get the joke. Opportunity wasted. Nice man, though. First-generation immigrant. Hope he recovers completely. Lowe) I once interviewed Seabiscuit author Laura Hillenbrand, who loved the horse, as did so many at the time due to the horse being an underdog that people in the Great Depression identified with. What do the numbers say about the greatest horses of all time, like Secretariat, and what horse is your personal favorite? Abrams) In terms of numbers, Man O’War has the longest stride of any horse ever measured - something like 28’, a good 2-3 more than most, so he was gaining on you just by running your speed. Secretariat had a heart twice the size of a normal equine heart, and a third larger than any ever previously measured. He had a bigger engine and could pump more blood so his muscles recovered faster. They are arguably the two best American thoroughbreds ever, and now you know why. My favorite, though, is a female named Rachel Alexandra. In 2009 as a 3-year old, she beat males 3x including a Triple Crown race - the Preakness. Her win against older males, which very rarely happens in American racing, in the Woodward Stakes at Saratoga still makes the hair on the back of my neck stand up. Check it out on YouTube. Lowe) The Letterman incident where he got you to repeat the phrase "He shoots, he scores!" Were you surprised to see him sitting there at your internship interview at NBC? Abrams) The date was Monday, April 13th, 1990. As I reached the spring of my first year at Syracuse University’s Newhouse School of Communications, I went to NBC to apply for a summer internship. Rob Burnett, still a budding producer at that time, came into the waiting area to announce that Letterman wanted to do a gag where he pretended to be personnel director. We in the waiting area were assured we would also get a real interview afterword for the internships we wanted. I called my mother, since I was to be home at 12:30 in order to vacuum the house for that night’s first Passover seder. That’s why I was back at home that day, and the internship interview made sense to do while home. My mother didn’t know or care about Letterman, and she said, “When are they doing this?” “Now (10am),” I replied. She said, "be home by 12:30pm." 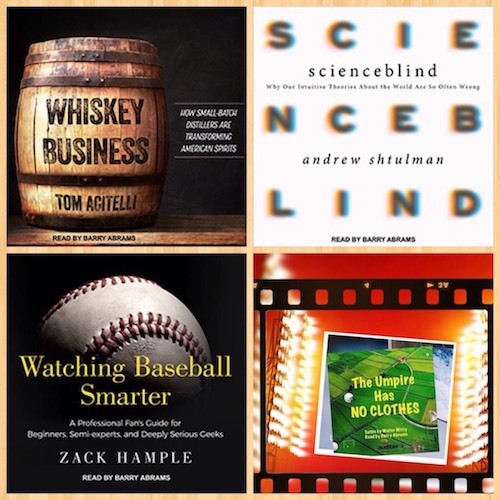 Lowe) Some titles you've narrated include The Well-Tempered City, The Four Things That Matter Most, Watching Smarter Baseball, Scienceblind, Whiskey Business, Brady vs Manning, This Narrow Space, and Destination Earth. Mostly non-fiction. Favs? Abrams) I enjoy primarily non-fiction. Since I am a journalist by trade, I am wired to want to learn about the actual world around us, not necessarily a made-up world. I mean, I enjoy a good story or a good movie as much as anybody, but the publishers I service figured out, without my even having to tell them, that I perform non-fiction well. Of all the titles I have done so far, I really enjoyed This Narrow Space. It is about a pediatric oncologist who moves from New York to Israel to try to set up a pediatric palliative care unit at Hadassah Hospital in Jerusalem. Hearing from an American perspective about the cultural differences between the two places was fascinating. The timing was coincidentally perfect, also - I traveled to the Holy Land about two weeks after completing the book, and it all hit home for me. Lowe) Fav books you haven't narrated? Lowe) You recorded the title Vitamin N. How can listening to audiobooks while hiking get one more attuned to nature, with a capital N? Abrams) Vitamin N is a perfect book to which to listen while walking around. Wear small earbuds, though - not big cans that block out the natural sound. Walking around while listening to Vitamin N is like talking a guided tour of a historical location. You’ll start to notice so many little things that your eyes and mind would normally just pass right over. Even though you’ll be using an electronic device to get there, you’ll start to unplug and learn to appreciate the simple but wonderful gifts of nature. Lowe) What's next for you? Abrams) I am trying to branch out to documentary narration, and corporate video and/or medical narration. Medical is really hard, but I narrated a medical textbook about Lyme Disease. Because it’s so hard, relatively few narrators get involved with it. So, if you can do it, you can make good money. 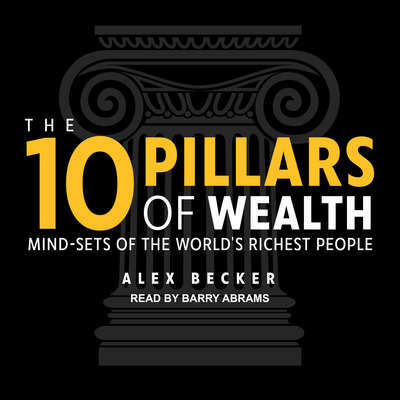 The 10 Pillars of Wealth: Mind-Sets of the World’s Richest People by Alex Becker. The world has led you to believe that financial freedom is not something you can willfully create in your life. You have been taught to view wealth as something that happens only to a lucky few who win a random business lottery or are blessed with unimaginable talent. The truth is that creating excessive financial wealth does not come down to luck or talent. It comes down simply to your beliefs, understanding, and views - the “pillars” that reinforce your every action. Alex Becker not only breaks down the most important pillars for you, but also shows you how to bring them into your life today to begin generating lifelong financial freedom. Skip time-wasting mistakes and learn how to make money quickly by focusing solely on what gets you paid. 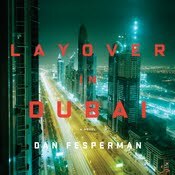 Narrated by Barry Abrams.